As told earlier this week, when showing you the orange crown that I crocheted for King's Day, worn by our bunny, it's King's Day today in The Netherlands. King's Day is celebrated on the birthday of the king. The whole country turns orange, from clothes to balloons and from food to decoration, sometimes variated with red/white/blue. The surname of the king is Van Oranje, which means from orange, and the colors red, white and blue come from the Dutch flag, which from top to bottom is striped red, white and blue. 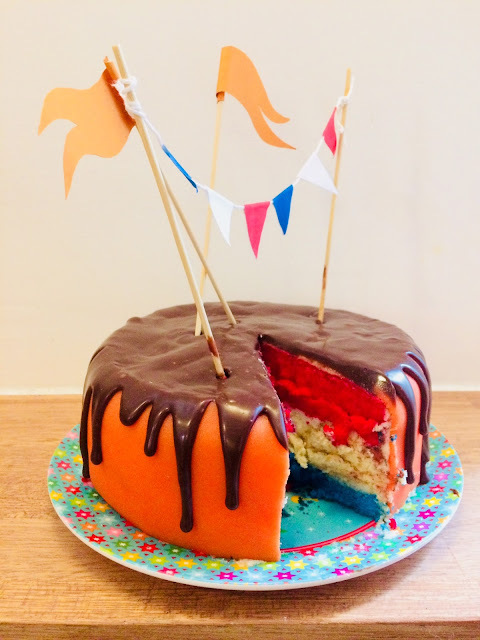 My 8 year old daughter really wanted to bake a cake for today and made her own design: orange on the outside and red, white and blue layers on the inside. On top she wanted to have red, white and blue vanes and orange banners. I just helped her a little bit here and there, but she made it mostly all by herself! Love it! One of my best and oldest (oldest in how long we are friends, not oldest in age) almost has her birthday. She loves cats, and I mean LOVES cats, and is a sort of shelter for all neighborhood stray cats. It began with one and now she has six that are permanent residents in her house, besides the cats that just walk by to get food and then stroll further to the next house. So what other mochila could I make for her than one with cats? And for the attentive reader: I've made this bag before, indeed. 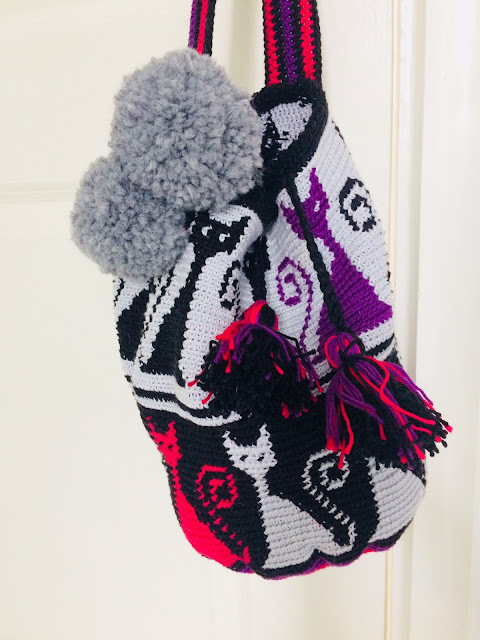 For my daughter's birthday, two years ago, I made the same Cat Mochila, just other colors. 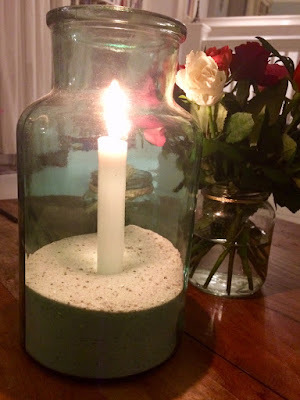 My Hanging Lantern was featured by Creative Jewish Mom! It's almost King's Day, the day where the citizens of The Netherlands celebrate their majesty's birthday. The big day is next friday and because the king's surname is Van Oranje, which means From Orange, basically everything you can think of will be orange. 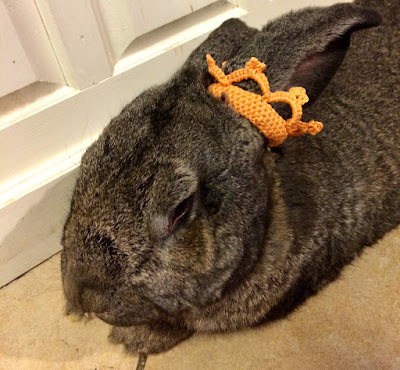 I myself crocheted an orange little crown that fits around my Flemish Giant's ear. So if he wasn't my king bunny before, than now he is. Look at him, so handsome. Of course you also can attach the little crown to a hair pin and wear it on your head. 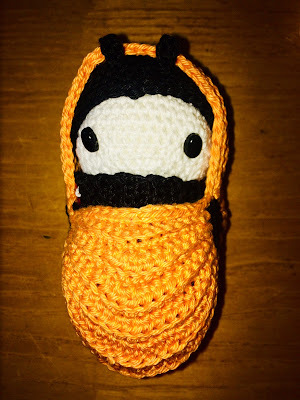 I altered the pattern a little bit, but you can find the original pattern here! 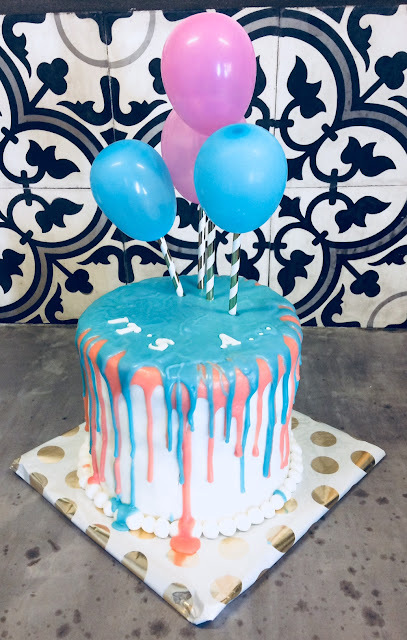 My friend is expecting a child and asked me to make the Gender Reveal Cake. She doesn't know either what the gender is. Such an honour! 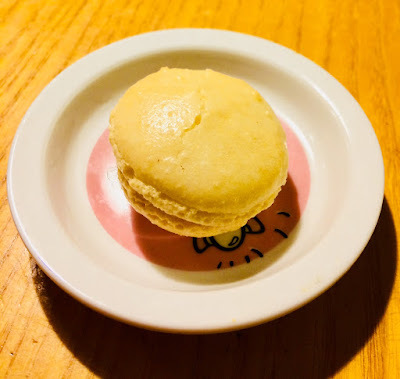 This week I took the difficult task on me to make Lemon Macarons. 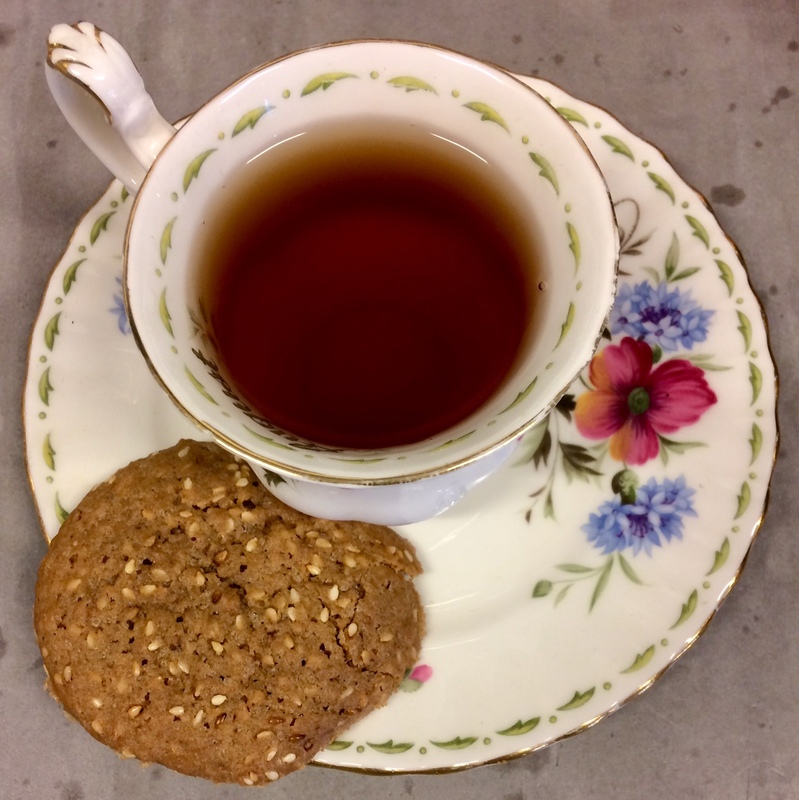 I've made macarons before, just one time, and although those looked like macarons, I found it a bit of an effort to get the right result. The ones I showed you last week, the Lemon Macarons, looked so delicious and I so love the taste of lemons, that I wanted to give it another try. After coffee with a lot of milk (aka Latte Macchiato) my favorite drink is tea with a lot of milk, especially spiced tea, so I was delighted when I found this recipe for Chai Latte! We have our first day of REALLY nice weather today and when I sniff summer in the air, I always think of long sultry evenings with friends and barbecue, or even better: both. And when I think of evenings like that I always get the urge to make lanterns. So I made a few today. And while I was busy knotting I made one for my strawberry pot, too. This week I bought a sack of oranges. I don't know how it is in the country you live in, but in the country I live in you can buy one loose orange for about 1 euro or you can buy a sack of ten oranges for 3,50 euro in the supermarket. So I always buy the whole sack, even though I don't know what to do with such an overload. Most of the time, and I'm ashamed to tell this, I eat just one or two and after that I have had enough oranges for a long time. The rest of the oranges will shrivel up underneath a new layer of fruit in the fruit bowl. But..., not this time! I don't want to be a person that's throwing half of her food in the bin while other people are starving to death, so in the future I hope to actually use and eat all food I buy. Never too late change yourself. So after I found myself staring at eight oranges that I didn't have the appetite for anymore, I started to search for orange recipes and other uses. For a fine colleague that will turn 50 soon I made a card myself. Just a bit more personal than a store bought one. 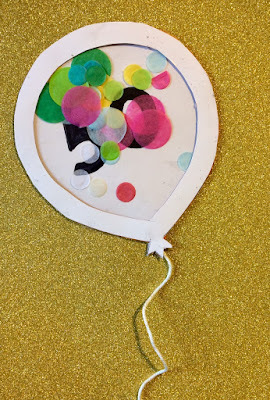 I made this card with two layers of balloon, that I cut out of white paper. One serves as a background, the other one has the middle cut out. 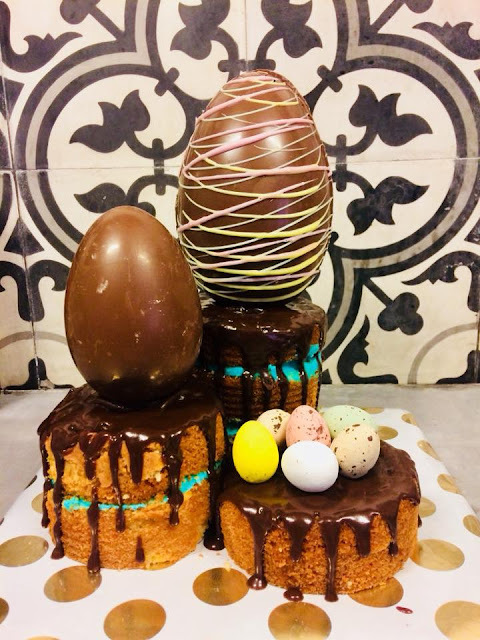 Between both layers of 'balloon' I've put a piece of cellophane. Before I glued all three layers to each other, I've put some confetti behind the cellophane. On the back of the balloon I've attached a piece of cotton yarn and then I glued the finished confetti balloon to a shining and sparkling golden piece of carton. One of the best recipes of this year, I already know now, is this Snack Mix. In the Netherlands people are totally not known with the phenomenon 'Snack Mix', so this was the first time I ate it, but I'm hooked and this will definitely be a regular feature of the Movie Nights my family has every once in a while. I made mine with a mix of salt cookies, mini pretzels, crackers that I broke in smaller pieces and different nuts. In a little sauce pan I melted salted butter and mixed it with garlic. The melted butter I mixed with the little snacks and the snacks I spread out on a baking tin. I baked the mix for about half an hour on 180 degrees Celsius. Not much work at all, so you see, but the best movie snack ever!